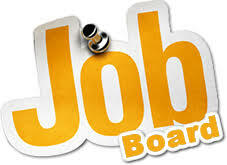 All positions posted prior to February 1, 2019 must be accessed using the links at the bottom of this page. Please note that these links reflect ONLY postings that occurred prior to February 1, 2019. The links will be phased out as these positions are filled. We are not able to export applications or related files from our old applicant tracking system to the new, so applicants who wish to be considered for future openings must complete and submit an application in the new system.